You are here: Home / Uncategorized / Which Debt is Worse: Student Loans or Credit Cards? If you’ve ever been in debt you know that not all debt is created equal. While all debts owed should be paid off, there is a way that you should prioritize your debts so that you’re able to pay them off in the most sufficient manner. So, which debt is worse? Student loans or credit cards? How do you pay off your debt in a way that makes sense? When it comes down to which debt is worse (student loans or credit cards) there is no black-and-white answer. No matter what you should be sure to remain current on all of your payments. 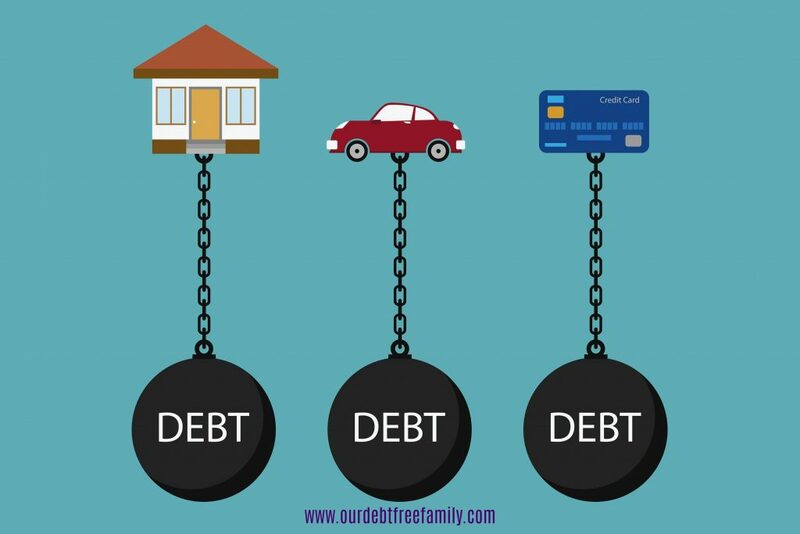 The only time the question “which debt is worse” comes into play is when you are looking to pay it off. If this is the case you will want to jump on paying off your credit card debt before your student loans (while continuing to remain current on your student loan payment installments). Credit card debt is generally high interest. It will also have the bigger impact on your credit score and finances in the long run. To truly understand why you should tackle credit card debt before student loan debt you need to understand how your debt works. Before you decide which debts you should pay when you should fully understand your debt. Sticking to the “student loans vs. credit cards” topic of discussion, you can break down each debt into parts. When you look at your student loans, for instance, most loan companies provide a breakdown of payment towards interest and payment towards the loan itself. For student loans you’ll be paying between 3 and 5 percent interest (closer to 7 percent if you are paying off graduate loans). If you have multiple student loans then you have to contend with multiple interest rates which is why many institutions will consolidate student loans in most situations. Interest rates on credit cards, however, are much steeper. The average credit card interest rate sits around 20 percent (four times as much or more than student loans). Because of this, you’ll want to pay off your credit card faster than the student loan debt. Pay off any debts prohibiting you from living your life. If there is a debt significantly impacting your life, pay it off. For instance, if there is a debt you owe to a rental agency that is making it impossible for you to rent a home you’ll want to pay that off quickly. If an old checking account and hurting your banking, try a bank account without chexsystems until you’re back on your feet. Next, pay off debts with high interest rates. Target the debt that is accruing the highest amount of interest. If you pay this off quicker you’ll pass less over time. Pay off credit cards and other high interest debts before tackling others. Make payments on the interest if you can. 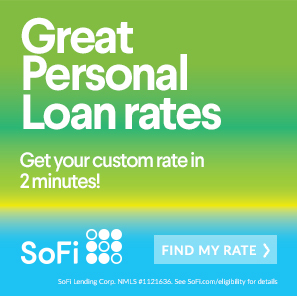 Many loan companies offer the option to pay additional money on the interest. You can do this with mortgages as well. Be sure that you know that your payment is going towards the interest though (and not to the loan itself). Pay off the debts that are costing you the most. Once again, all debt is bad but some debt costs you more than others. If you want to get rid of your car payment, for instance, put in some extra work to get it paid off and have that extra cash in your pocket every month. Tackle other debts. Once you’ve taken care of the bigger, more expensive debts in your life, tackle everything else. You can begin paying off the other items aggressively or simply pay them on a regular schedule to help improve your credit. No matter what your approach may be to paying off debt, understanding your debt and interest rates is an important part of becoming debt free. Have you ever had to tackle a significant amount of debt? What did you do? Paribus: Can It Really Save You Money? Debt Payoff Success Story: $200K in Student Loan Debt Gone! Thanks for this article. Maybe to ask, would it be wise to try and use both student loans combined with credit cards? I will need to apply for another credit card if so. In my opinion, there is a thin line between the two, none is better/worse than the other. They may sound so sweet at start but as noted, they are distinguishable in the long-run – when you’re looking it pay it off. Irrespective of the approach embraced in paying off the debts, I think the optimal choice would be to avoid them completely, though rarely possible. To answer your query, yes, I’ve been racked up with heavy debts. I embraced some of ways you’ve stipulated above towards paying off the debt. Importantly, i was lucky to have ‘someone’ help me settle the amount, else the interest rates could have drained me.